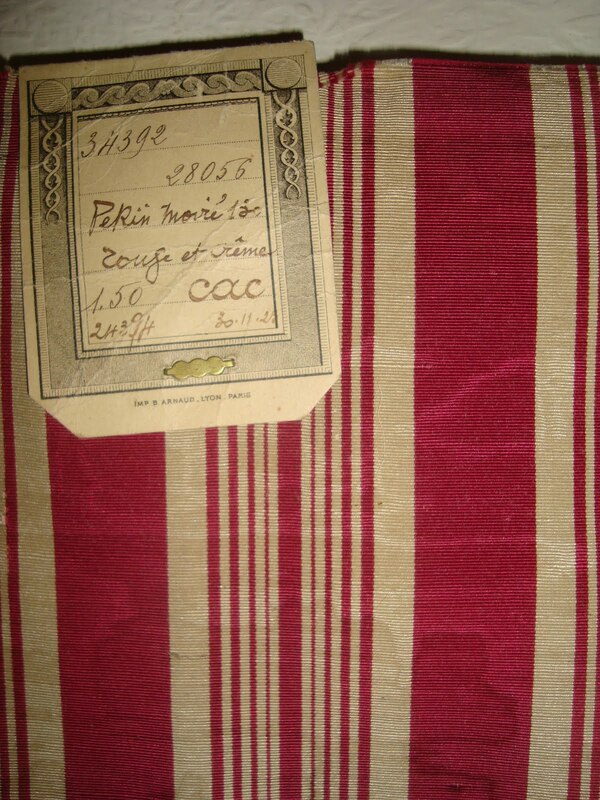 Here are some lovely old French silks from Lyon, unused and still with their labels, they date to about 1910-30. They may have been samples or swatches, or simply unused pieces stored away and forgotten about until now. 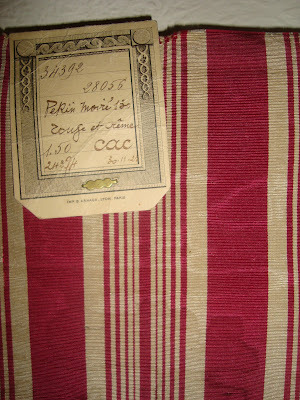 The weight is quite good, so I assume they were upholstery silks, and very elegant they are too. Simple but classic colours, some watered, some plain; instant elegance and opulence would be added to any room furnished with these silks.